For all those who thought that the most expensive day of a person's life is their wedding day, this ranking proves that if marriage doesn't work out as expected, divorce can cause a bigger dent in one's fortune. This has happened to many well-known people, mainly in the United States, whose fortunes have been drastically reduced (in some cases, up to half) when signing a divorce settlement. This ranking lists the most disastrous divorces in history; that is at least for one of the spouses. 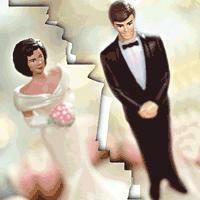 Obviously, the spouse that is less rich when marrying becomes the most fortunate one after the divorce.